Yoga has many hidden benefits that go beyond looking and feeling great. It is perfect for every college student who goes through the typical college experience. From the stresses of exams to late-night parties, college kids need this to rejuvenate and unwind. Copious amounts of research proves yoga increases concentration and provides students with mental clarity, thus increasing students’ grades. 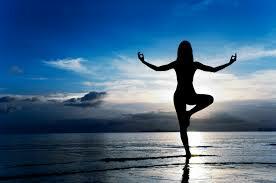 College can be extremely stressful and yoga allows students to clear their minds, relax and leave the stress behind. During a recent study of people undergoing a large amount of stress, 76 percent of the participants said they felt better after only three weeks of three 90-minute sessions of yoga each week. I can’t be the only one who has those days where I’m so exhausted but can’t fall asleep at night. Practicing certain yoga postures such as camel or warrior one instantly can cure fatigue and provide immediate energy. Yoga allows people to calm their minds, so it is easier to fall asleep faster and to stay asleep. When leaving a yoga class, it is common for people to be much happier than before they came. They have created a peaceful state-of-mind in a positive atmosphere and they have the satisfaction of getting a workout in. You can choose your own level of comfort in your class and make it as easy or as hard as you would like. It is a full-body workout concentrating on various muscular groups, so it is common that high-level athletes practice yoga on a regular basis. Practicing yoga means you are less likely to get sick. It stimulates the main body systems linked to the immune system – the circulatory, digestive, nervous and endocrine systems. Why not practice yoga if it means you’re less likely to get sick? You miss fewer classes and never miss a night out! No one likes a hangover that ruins your day, so this reason alone will entice college students to try yoga. Yoga helps you recover from a night out by releasing toxins in the body, improving circulation and easing an upset stomach. The postures circulate blood through the body, filling cells with oxygen and resulting in a rejuvenated feeling. And who doesn’t want all of those?